Well, I wasn’t expecting Rentarou to bawl like a baby in the final scene. That was kind of a strange way to end the series. I was more expecting Kagetane to be the sacrificial pawn in the battle against Aldebaran, but Shoma made more sense given the nature of the task that needed to be fulfilled. It did make the scene where Rentarou knocks Enju out pretty pointless though. For the most part, even Midori’s death, everything in this episode seems far too convenient. I know that’s normal, but this seems a bit much. Defeating Pleiades was laughably easy and Kagetane joins the party pretty much officially. Gado’s death off screen and Midori’s death leads to a temporary pairing of their living partners. And Rentarou somehow becomes commander of all of the forces after all of his doubt regarding the previous commander’s methods. Funny how things work out, huh? I guess the main complaint I would have is that Pleiades died…just like that. Anyway, it’s time for the final battle…I guess the plan is “use a bigger bomb”, which sounds very appropriate for military operations. It looks like there’s going to be a wrench thrown into this plan, though…was that the guy that Rentarou humiliated with the Seitenshi bodyguard scenario? Anyway, the preview makes it sound like Rentarou’s going to do another one of his grand self-sacrifice maneuvers. 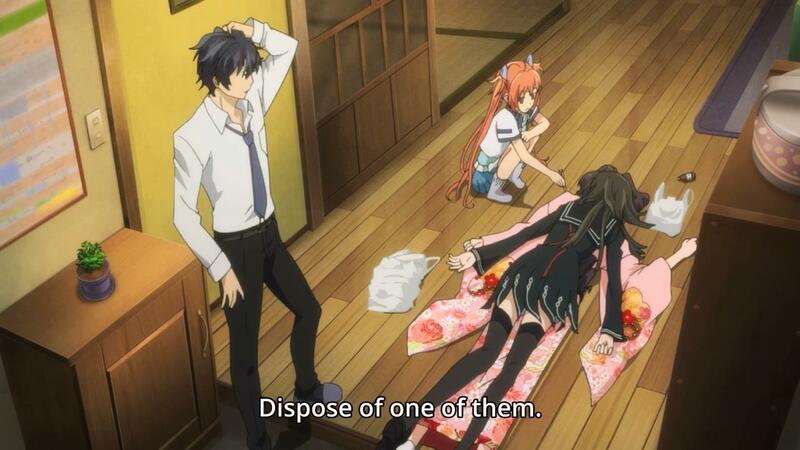 Black Bullet Episode 11: Suicide mission! It looks like Kagetane has joined as an ally after all. I assume this is the gateway towards either his constant assistance from the shadows or his death. Either way, it looks like he’ll be helping Rentarou out with his suicide mission…I figured something like this would happen. The only question that remains is whether he will survive this time…my guess is that he will, but who knows? Maybe he’ll turn to Rentarou’s side and trigger his own death flag. I’m really shocked that Kisara allowed Rentarou to go off by himself despite seeing him leave the way he did. She should have suspected he’s was heading off to die. It looks like the other characters will show up next week, though, so maybe she just gave him a head start and everyone else will be joining up next week. 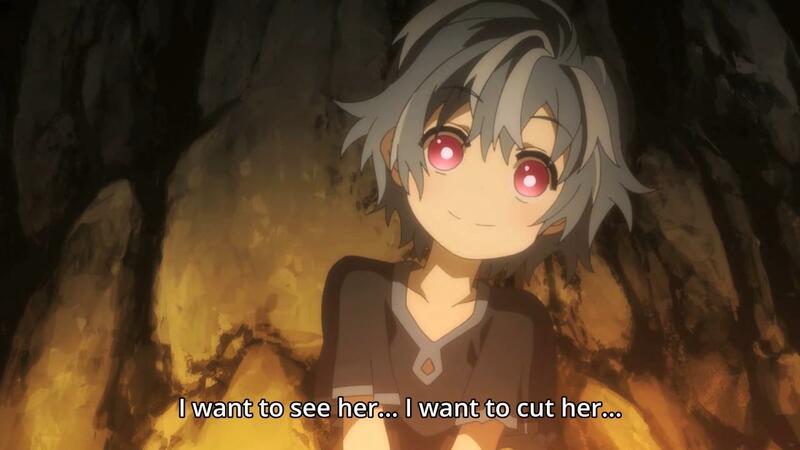 Author marthaurionPosted on June 18, 2014 Categories Black BulletTags cursed children, gastreaLeave a comment on Black Bullet Episode 11: Suicide mission! Well, I wasn’t expecting them to kill off them entire class of Cursed Children, but apparently we still don’t realize how cruel this world is to them if they’re trying to make that point. It makes this “calm before the storm” episode much less calm. It might have been a bit more interesting for the show if Rentarou was less naive when it started…it might have made him more like an anti-hero instead. Good job, team. By interrupting Rentarou’s confession to Kisara, you prevented him from raising a death flag. Anyway, it looks like the adjuvant is only one squad of many, so Rentarou isn’t facing the invasion on his own. That’s slightly more reassuring, I guess. However, there was an issue of the dead pair this week that was never addressed…it was kinda swept under the table when Shoma showed up and joined the team. Is there a traitor in the squads who will be interfering with the mission? The blind Cursed Child from last week seems to be pretty prominent in the preview. What exactly is her role in the upcoming battle? Considering how few episodes remain in this series, this may very well be the final arc of the show. Will they leave us asking more questions about the Gastrea at the end of the show or is a shocking revelation coming? So the countermeasure for the monolith’s corrosion from Aldebaran is to create a new monolith? What happens if Aldebaran decides he feels like drooling on the new monolith? It sounds like they’re also expecting Rentarou to kill Aldebaran while he’s defending the monolith. There was also a brief moment with the blind Cursed Child this week that I’m wondering about…is she supposed to be relevant? Is she supposed to join the team eventually? I’m not sure how Rentarou expects to hold out against waves of Gastrea with only one team as his backup, and a team ranked in the thousands at that. Maybe Kagetane will make his reappearance as an ally in Rentarou’s moment of need. Surely he’ll need the help. He was only able to beat the Godzilla Gastrea with the help of the railgun, which probably won’t be much of an option this time, so I don’t see how he beat this one with so few people. I’m expecting another cheat code to get him through this. Well, I guess that resolved itself neatly. That disruption at the very end of Satomi’s fight with Tina where Yasuwaki interjected was pretty abrupt and frankly, a little random if you ask me. It was also swept away pretty quickly, so I wonder if he’ll disappear completely or come back for revenge. Either way, Tina joins the cast as expected. Satomi talks a lot about sentencing, but it looks like she wasn’t really punished at all (unless you count having to be a part of the harem). So next week, it sounds like a monolith will be destroyed. Does that mean that another Godzilla Gastrea will be showing up? 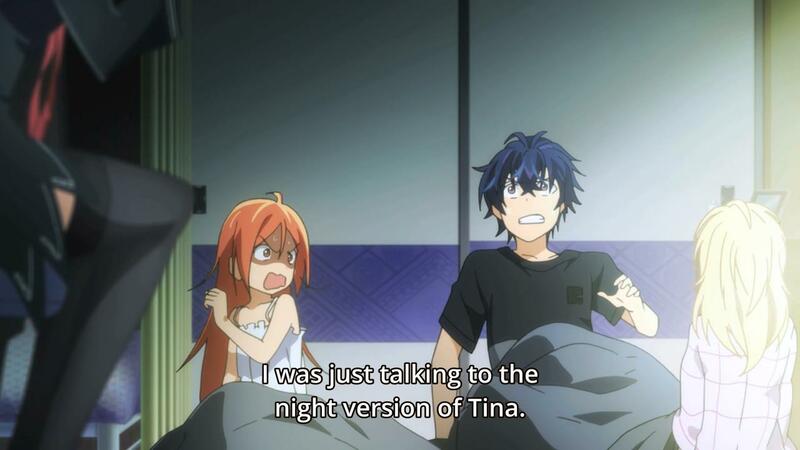 Should be pretty easy to fight it with Tina now, right? That aside, what will happen with this Ayn Rand character that was controlling Tina? Surely he/she is still relevant. Will that just fly below the radar for a bit now? Interesting that Tina is ranked. If she’s a mechanized soldier, does that mean she’s her own Promoter? Sounds pretty scary. It’s a curious development that this opponent is out of Enju’s reach. In the past, it seemed like they were pushing the fact that Enju was a better Initiator than Rentarou deserved, but it’s starting to look the other way around as things go. Next week looks to be the final battle against Tina. She’s been highly unsuccessful in her assassinations so far, so there’s a high likelihood that she will join the cast. She seems like a fairly easy target, since she hesitated to kill Kisara, has a pre-existing relationship with Rentarou, and is one of the Cursed Children that Rentarou tries so desperately to save. It looks like protecting Seitenshi is the name of the game now. Now that Rentarou has been revealed to be a cyborg similar to Kagetane was, I’m starting to question less why he’s so special and am starting to focus on Seitenshi. She’s an important leader, but so far, I haven’t seen anything to indicate why she’s so special. Does she have some sort of special power? Or maybe just a background with the origin of Gastrea? Anyway, next week looks to go more into this Tina Sprout character trying to kill Seitenshi. 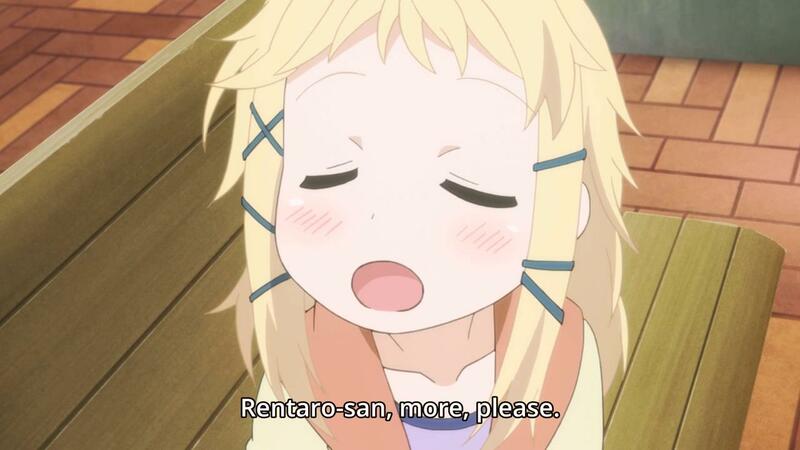 Based on what we’ve seen so far, it’s very likely that she will end up being turned by Rentarou. They met under casual circumstances and she “conveniently” didn’t see him when she was attacking Seitenshi. Plus, she’s a Cursed Child and Rentarou is really into those for some reason. 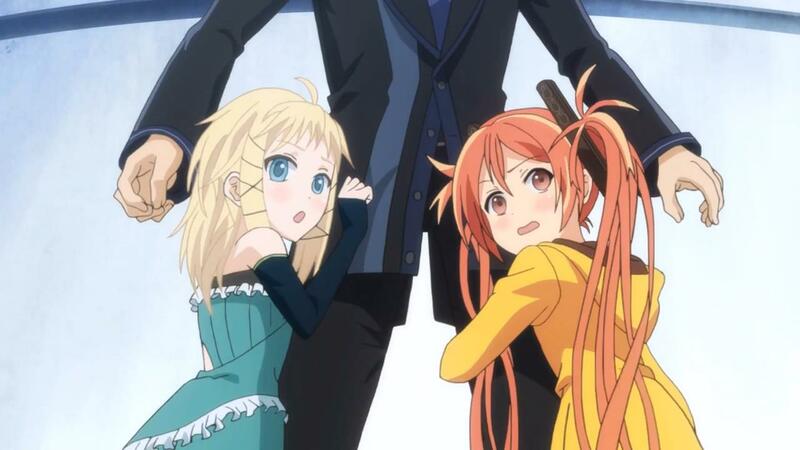 Black Bullet Episode 4: It’s Godzilla! Well, we’ve reached the limit of what I’ve seen. The battle against Kagetane was the last thing I saw. I’m surprised the Stage Five Gastrea went down so easily, only needing one railgun charge to destroy it. I guess this entire episode felt too easy. This episode seemed a lot like a final battle, but it’s not even halfway through the show. As a side note, I’m curious why Enju’s corrosion rate went up so much after the battle. Rentarou seemed to do all the work against Kagetane. I’m definitely not convinced that Kagetane is dead. The question remains whether he will return an enemy or an ally. I’m also curious whether there will be any unknown side effects from Rentarou’s injection of about six ampules of that Gastrea drug. As for the bicycle, I understand that the Gastrea were originally human (it was a virus after all), but it’s definitely curious that a Stage Five would appear just because of a bicycle. I assume it has something to do with their hidden purpose or something. Author marthaurionPosted on April 30, 2014 Categories Black BulletTags cursed children, gastrea2 Comments on Black Bullet Episode 4: It’s Godzilla!